Meanwhile Stiles shows Malia the picture of the people her mother mauled and Malia’s pretty ok with it – mainly concerned (if concerned can be the word) about whether the people her mother killed deserved it and also complimenting her on her massacring skills. This is Malia, did we expect anything else? I also think Scott’s advanced placement teacher may be terrible – and it doesn’t help that Liam is very distracting because Tracy is there, in school, in history class fighting for control and damaging the furnishings. Liam uses some sense and clears the school by pulling the fire alarm. Room cleared, Scott, Stiles and Ken Yukimura (Kira’s dad and the teacher) all try to calm her down from mauling a random concerned girl while she hallucinates Bioshock villains. She gasps that “they’re coming for all of us” and collapses… silver goo pouring from her mouth. Scott & co take Tracy to see Deacon (with Malia calmly suggesting they just kill her and be done with it). Deacon disapproves and decides to use black Mountain Ash instead. Which, of course, also traps Scott and Malia inside. More tests show her skin is nearly invulnerable. They do find a dreamcatcher and a note, evidence of her father trying to help her with her night terrors. This leads to the thought that Tracy may not have been in control of herself because of those terrors – and she may actually be asleep and killing in her night terrors. Tracy is a Kanima. She knocks them all down or slashes them before leaving – breezing right past the Mountain Ash and leaving them all paralysed. She runs off and Deacon talks them through fighting the Kanima poison. Malia is the first to break through the poison and insists on going after Tracy – Scott tells her to “save her” (Malia’s facial expression disagrees). The rest of them are rescued by a conveniently appearing Theo. Meanwhile Kira and Lydia continue to have revelations – that Tracy is killing people trying to help her. And the other person who tried to help her was Natalie, Lydia’s mother. Who is on a date with Sherriff Stilinski. No. Natalie, I like you and everything, but you are stood in Melissa’s place right now. Fight scene, Lydia is injured and Kira pulls out not just a lot of skill but a cool glowing fox aura and slices off Tracy’s tail. Tracy runs from the scary fox lady. Malia arrives and the wounded Lydia tells Malia about Tracy’s sleep walking. She goes to the basement where Tracy has the paralysed Natalie. Another fight scene and without her tail, Tracy doesn’t seem to be much of a match for Malia and Malia has her in a choke hold, killing her – but stops and pulls back when Tracy wakes up and her eyes turn human. Conscious Malia tries to talk Tracy into reality, that she’s not dreaming. It works – and the bioshock villains appear, injecting Tracy with more silver goo. They pronounce her “terminal” and Tracy dies. They leave Malia behind (she doesn’t chase or attack which seems odd). 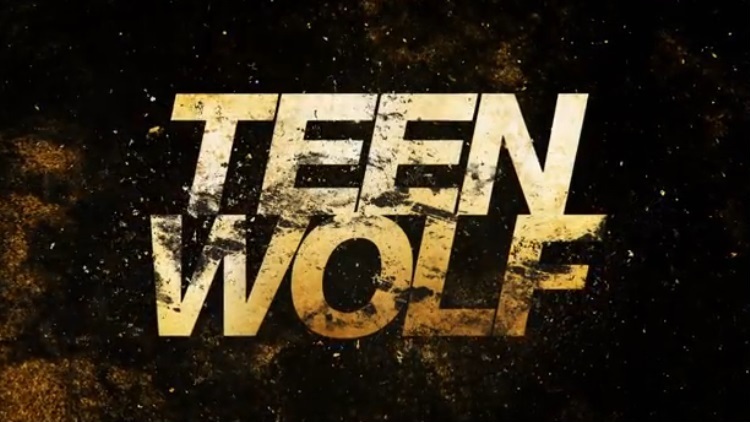 I’m actually really interested in Malia and the desert wolf storyline because it’s breaking so many of the rules. Malia isn’t curled into a ball whimpering about her mother being evil (or her dad being evil), she’s quite blasé about both of them. Her moral compass has always been a little south and it’s nice to see that maintained and not trip into the trap of teen angst that wouldn’t fit her. I want Scott’s teacher to be evil or at least someone to comment on her ineptitude, though I think this may be due to the writers unduly focusing on the protagonist so giving the impression the teacher is obsessed with Scott. I mean she praises him for doing really well on the test then instantly sets him up for being singled out and more public humiliation. Is she so disconnected from her students she doesn’t realise he’s quite insecure about is place in the class?